Stem Cell Regenerative Therapy now available at Animal Health Practice! Dr. Angela Erickson-Greco performed the first in-clinic veterinary stem cell treatments in Connecticut at Animal Health Practice in Bantam on November 12, 2012! Stem cells are the body’s natural repair cells. They have the ability to divide and differentiate into many different types of cells based on where they are needed throughout the body. Stem cells can divide and turn into tissues such as skin, fat, muscle, bone, cartilage, and nerves. They also possess the ability to replicate into organs such as the heart, liver, intestines, pancreas, etc. There are two basic types of stem cells: embryonic and somatic (adult). 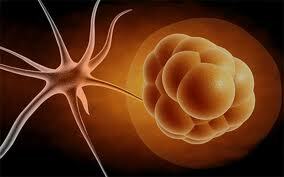 Embryonic stem cells are found in the placenta and embryo. These cells are called totipotent, and have the ability to reproduce into any mature cell type. Although embryonic stem cells offer the greatest potential for healing, there are moral and ethical concerns associated with harvesting these cells. 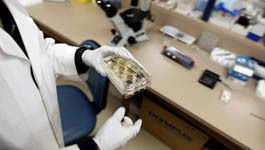 The second type of stem cells is adult stem cells. 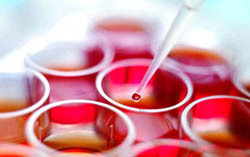 These stem cells are called multipotent, and can differentiate into closely related cell lines, but are not capable of creating complete organs. Adult stem cells are found in bone marrow, adipose tissue (fat), skin, liver, blood vessels, and neurons. Unlike embryonic stem cells, there are no moral or ethical concerns in harvesting, activating, and reintroducing multipotent cells into patients in areas needing healing and regeneration..
Why do we take the cells from adipose (fat) tissue? Adult stem cells are highly concentrated in fat tissue. There are 50 to 1,000 times more stem cells in fat than in bone marrow. Due to the concentration level of cells, it is no longer necessary to culture stem cells to acquire the necessary number of cells in order to provide appreciable healing. 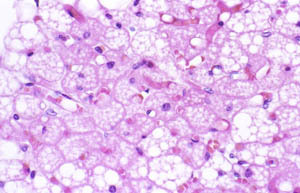 Extracting fat from patients is faster and less invasive than a spaying procedure. Stem cells are contained within a pool of cells located in the fat called Stromal Vascular Fraction (SVF). The SVF may provide anti-inflammatory effects, add bioactive peptides, and contribute to reformation and architectural organization. Such benefits are lost if stem cells are cultured rather than using our process. What can we do with the stem cells? Adult stem cells are capable of dividing into many different cell types. We can use adult stem cells to assist in treatment of joint injuries, ligament & tendon damage, and bone fractures. Research and clinical trials support the use of stem cells for these conditions. Ongoing research is targeting other areas of the body for treatment and the preliminary results are very encouraging. Which dogs are potential candidates for stem cell treatments? Dogs not responding to or tolerating non-steroidal anti-inflammatory drugs. Dogs requiring long-term use of pain medication. Dogs with multiple joints afflicted with arthritis. 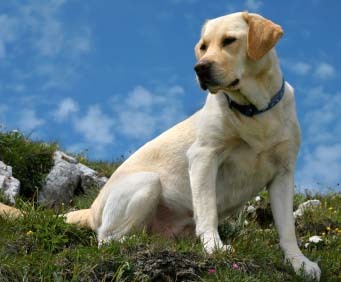 Dogs with tendon or ligament injuries. What makes MediVet America’s technology superior? By combining our patented LED technology with Platelet-Rich Plasma (PRP), the same treatment used successfully by many sports professionals, MediVet America is able to acquire the highest concentration of living stem cells of any company currently offering this treatment modality. Our focus is to ensure that your beloved pet realizes the maximum benefit from the procedure. MediVet America also offers Cryobanking, which allows storing additional cells from the procedure for future use. The day of the procedure, the veterinarian will anesthetize your pet. The doctor surgically removes a few tablespoons of fat. This is a simple procedure, which is typically easier than a spaying procedure. The fat is then processed to extract the stem cells. Processing typically requires few hours. Once the stem cells have been collected, your pet will be sedated allowing the stem cells to be administered into affected joints and / or into the bloodstream. It is important not to feed your pet the night before the procedure. How soon can we expect to see improvement? There are no guarantees as each pet is different. 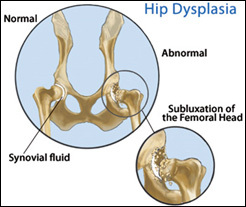 Nationwide, 95% of procedures for osteoarthritis and hip dysplasia have demonstrated clinical improvement. Some owners report improvement after one week, while others do not see improvement for one to two months. Pets who respond positively to the treatment typically do so within 90 days of the procedure. Patients with severe arthritis may require multiple treatments, and utilize cells stored through our cryobanking system. As with any procedure that involves anesthesia, there is always a risk. 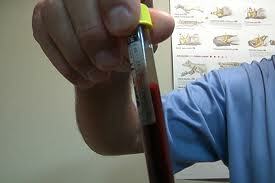 However, the stem cells are coming from your pet and are being re-administered back to your pet. There is no risk of an allergic reaction. Rarely there might be a mild immune reaction in the injected joint that should subside within a day or two. How do I pursue stem cell therapy for my pet? 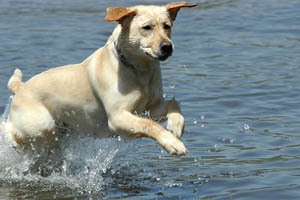 The next step is an evaluation of your pet's medical condition by Dr. Erickson-Greco. She will examine your pet, get a full history and review all lab results and radiographs as needed to determine whether stem cell therapy is appropriate for your pet at this time. We also offer harvesting of fat tissue (a very short surgical procedure) and processing and cryobanking of your healthy pet's stem cells. Someday when a degenerative condition arises, your pet will already have stem cells banked and readily available to use with no further general anesthesia needed.